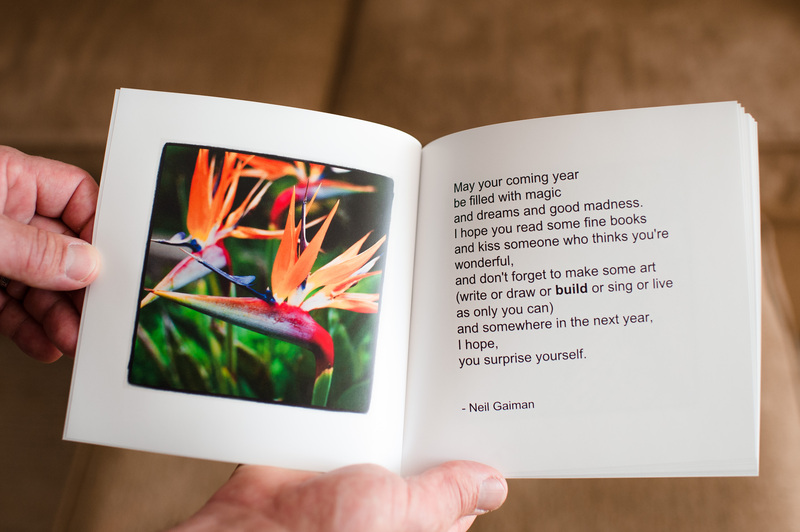 I can embrace the idea of an inspirational word rather than trying to make a dozen resolutions that never seem to happen. We usually choose a word as a family, something we want to strive towards, a foundation for change, a feeling to embrace and live by. 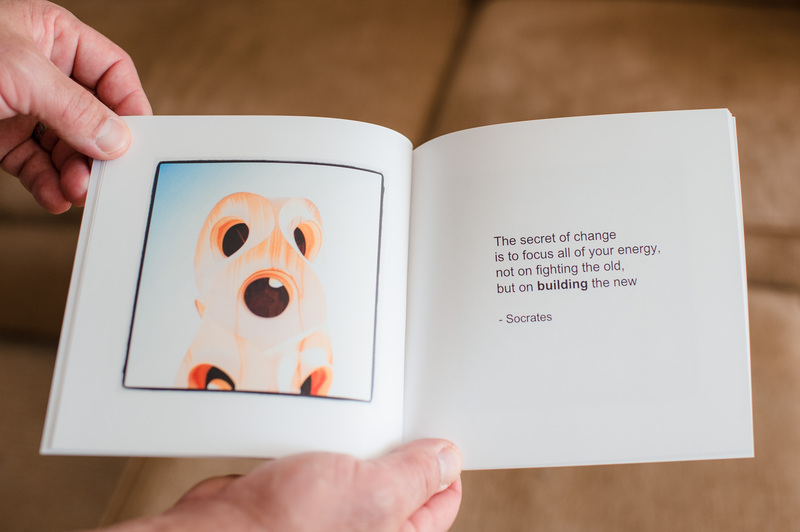 Our past words include, change, create, rediscover, emerge. 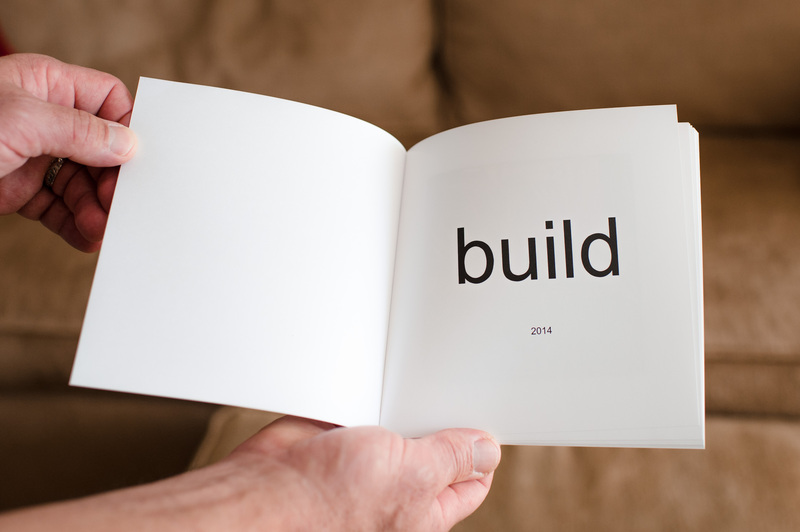 This years word is BUILD. 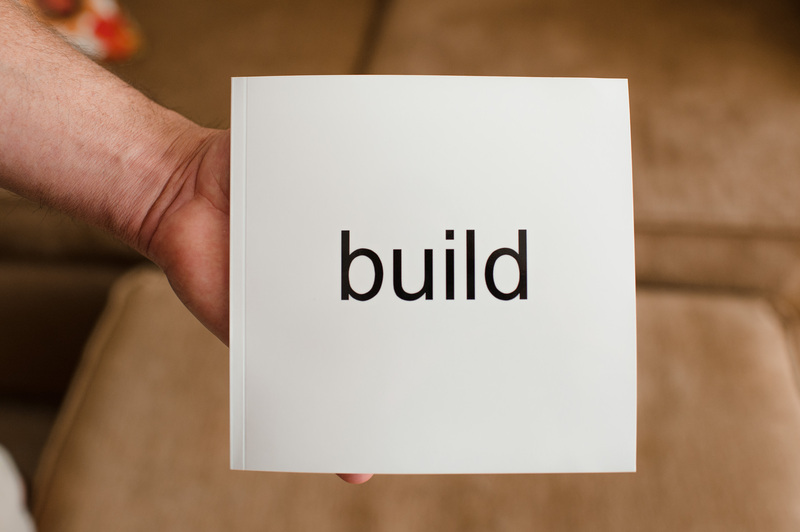 In an attempt to figure out how to embrace this word, I started perusing the internet looking for quotes that included the word “build”. I looked through pinterest and then went to on to quote sites: There are tons of good quote sites out there but these two are my favorite. The following two you can search by whatever word you are looking for and it will come up with quotes including that word. Once I found all these inspirational quotes, I wanted to make sure they were in a place in our house that we could refer to them and remind us of our goals/ inspiration for 2014. 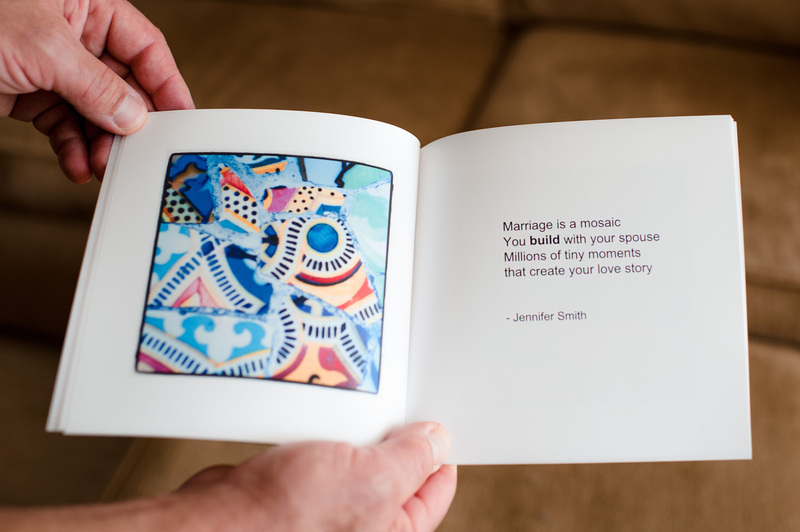 I decided to make a cute little book that we could refer to. 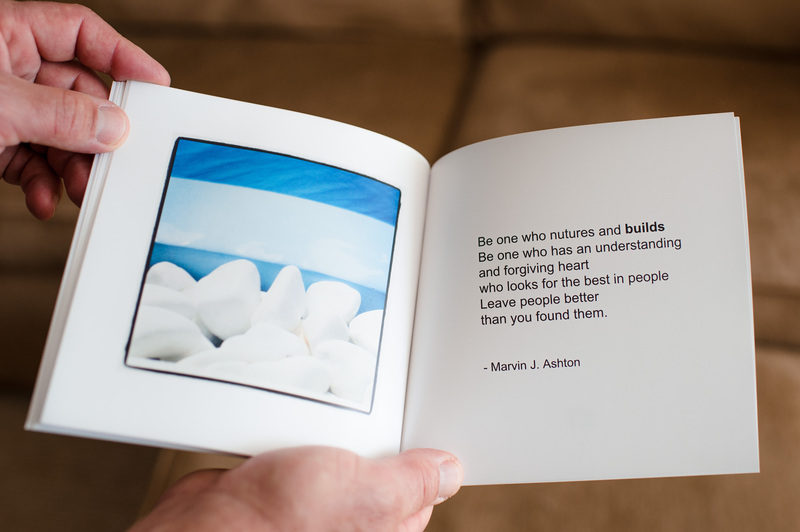 Blurb have a variety of sizes and cover options, very user friendly templates and you can make enormous books ( really great for books over a 100 page limit which most companies have). My complaints with their books is if you have high quality photos they can look a bit noisy or grainy in print and they do not have a lay flat option. For this book, Blurb was the perfect choice. I started with a 7×7 softcover book. I took some abstract photos I had of flowers, trees, architecture, etc. and instagrammed them to get that whimsical, oversaturated look. I stuck with one basic format of picture on the left, quote on the right. 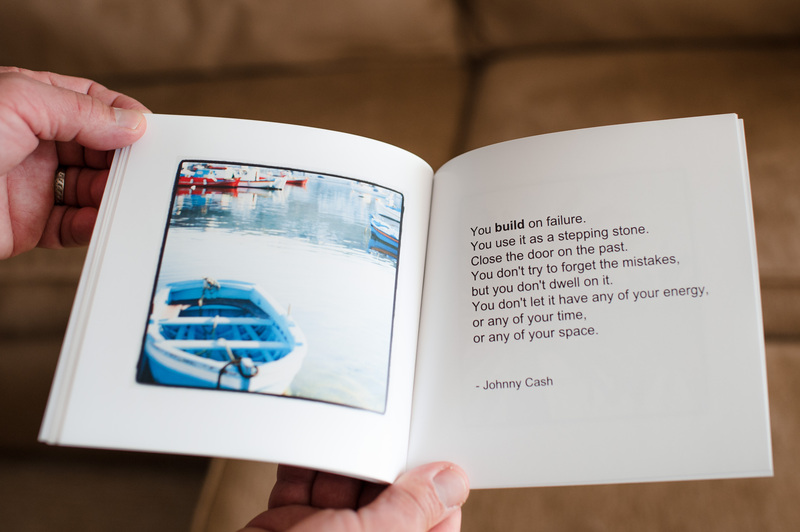 Now we have a great little book to leave around the house to remind us to “build”. 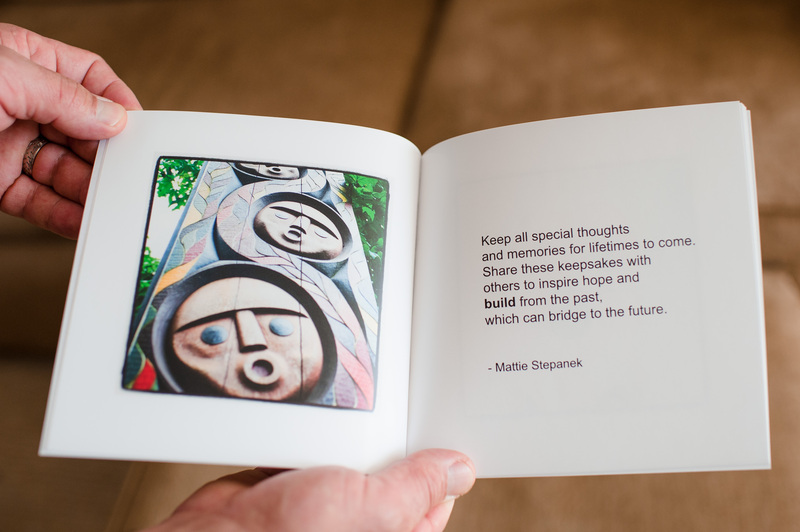 This entry was posted in one little word, photo book, Projects by mabufive. Bookmark the permalink. Wow!!! You leave me speechless Mary!